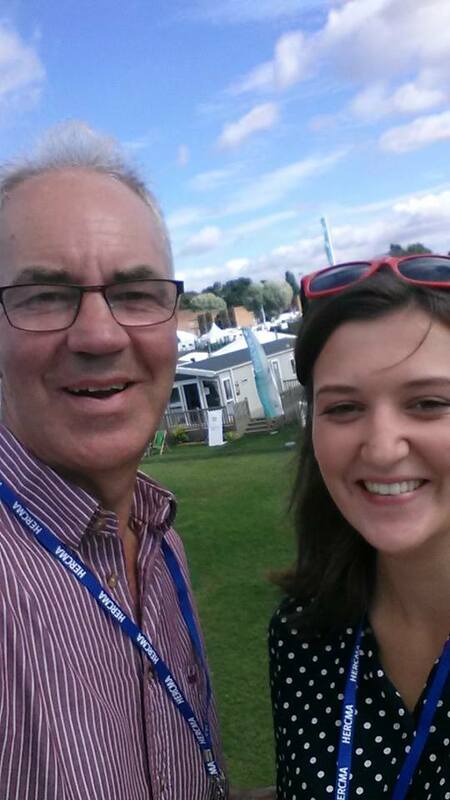 Our names are Andy and Gwen, and we own Silverdyke Park, a luxury family owned caravan park in Fife, alongside our daughter Kirsty. Silverdyke Park is located to the East of Anstruther. On this page, we would like to share a bit of information about us and why we think Silverdyke is such a special place. Please have a look through our website and let us know if you have any questions. Andy, Gwen and Kirsty (and Bailey) when the park opened. We farm at Cornceres Farm and have done since we got married in 1985. The farm has combinable crops and a small herd of spring calving suckler cows. We started planning our caravan park when we heard that the nearby Anstruther Holiday Camp was closing. It was a big undertaking and took ten years to get the park open, but it was well worth the effort. Kirsty used to work as an Occupational Therapist but joined us in 2011 in order to help us run the park full time, now living in the Managers house with her family. Jenny also joined us when we first opened in 2012 working during her summer break from University before coming on as our full time Assistant Manager in 2016. Our first static caravan holiday home arrived in spring 2012 and thus the holiday home part of our park opened in July 2012 and touring pitches opened in October 2012. 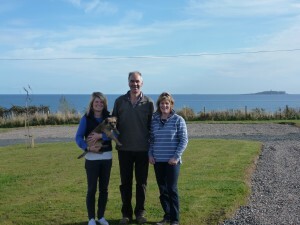 Silverdyke Park is a friendly, luxury family owned caravan park in Fife with stunning sea views. We love this beautiful area and our passion is to make Silverdyke the best caravan park in the local area. Our overriding concern is for all our guests to have a luxury getaway they will cherish for years to come. Customer satisfaction is our highest priority. Our luxury caravan park in Fife is a peaceful haven for anyone who wants to escape the bustle of city life and enjoy one of the most varied and beautiful parts of Scotland. With such close proximity to Anstruther, East Neuk, Crail and Cellardyke, you really are well positioned to enjoy a number of Scottish coastal towns. To book your stay with us or for more information, please give us a call on 01333 313098 or send us an email through our online contact form. We hope that you’ll be able to come and stay with us soon and take advantage of all the wonderful amenities, activities and events the local area has to offer.